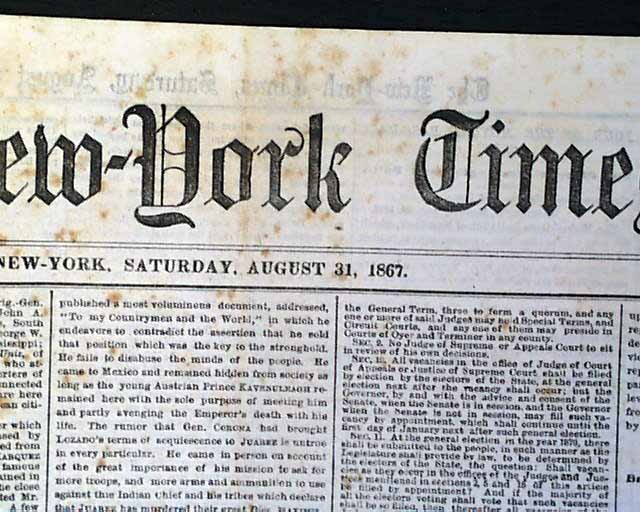 NEW YORK TIMES, New York, August 31, 1867 The frontpage of this issue contains a small article announcing "The McCool and Jones Prize Fight". 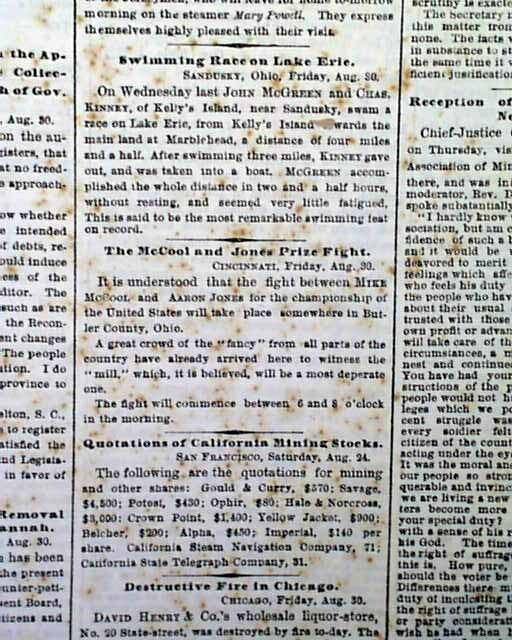 "It is understood that the fight between Mike McCool and Aaron Jones for the championship of the United States will take place somewhere in Butler county, Ohio... The fight will commence between 6 and 8 o'clock in the morning." This bare-knuckle championship match lasted 34 rounds. 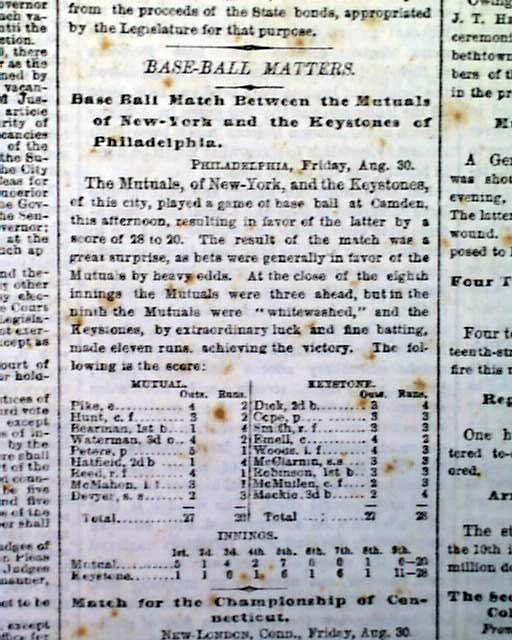 Also on the front page is the report of "Base-Ball Matters - Base Ball match Between the Mutuals of New-York and the Keystones of Philadelphia" which also includes the box score. 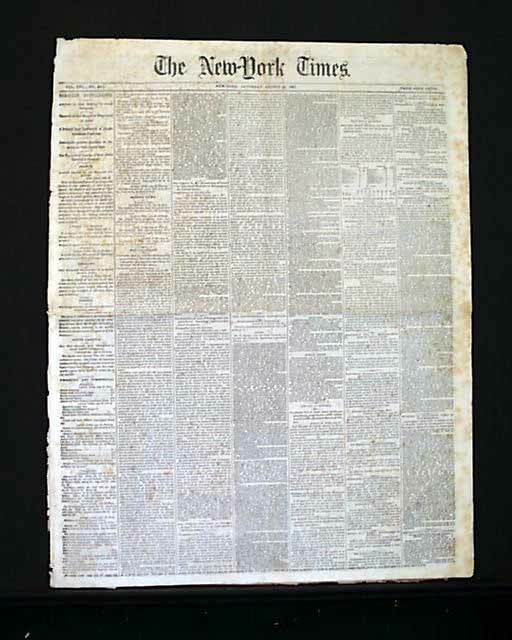 This is complete in 8 pages with scattered lite foxing, otherwise in good condition.